Alright, you caught us...work, family, and the holidays have caught up with us and we haven't been able to give you the same coverage we normally do (which admittedly isn't much). So, here's a quick update of all the things we missed and all the things we're looking forward to (sort of) this weekend. Ugh again. After such a promising 2nd half against Oklahoma State and jumping out to a 10 point lead at halftime, the Boilers gave up 52 points in the second half to embarrassingly lose to the Cougars by 15. Washington State's not horrible, but they're also not going to sniff the Tourney this year. 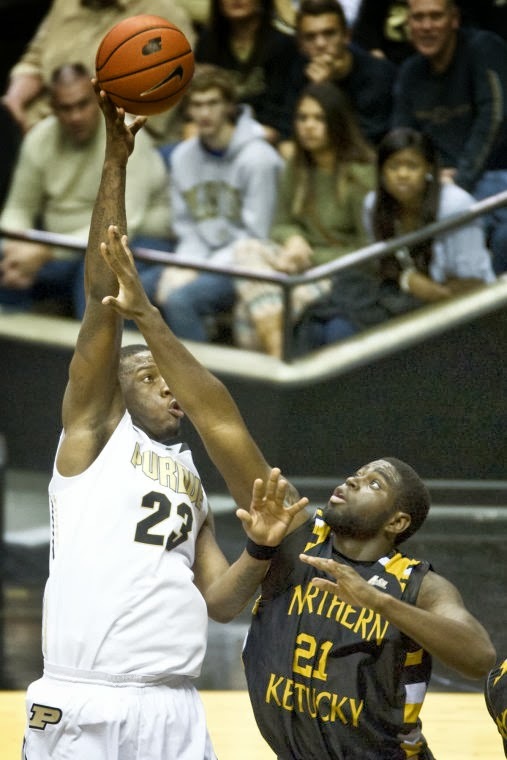 The Boilermakers scored over 30 points below their average and shot 33% from the field. One wishes they could've put those two good halves together against Oklahoma State and lay an egg against Butler instead. Now, the Boilers are in the position of a must win game - otherwise, the preseason tourney could start a tailspin similar to the one seen last year after the 2K Sports Classic. Remember the killer game against Villanova followed by the embarrassing loss to Oregon State? The similarities are striking. That's lucky - we already did this one! Although this one's even more important than that one. A loss to Siena would create a hole nearly impossible to dig out of. Meanwhile, the Boilers will play Siena more times this year than Indiana. Makes sense. Other than the thought that football season will be mercifully over after the game, I can't think of one Boilermaker fan looking forward to this one. Purdue hasn't scored more than 24 points in any game this year (even against some of the worst defenses in the country) while Indiana has scored less than 28 exactly twice (those two games were against teams that Purdue scored a total of 0 points against - Wisconsin and Ohio State). The Boilermaker defense hasn't stopped anyone outside of Michigan State all year, so this is shaping up to be a blowout of epic Bucket proportions. That brings up the only reason Purdue has a chance - The Old Oaken Bucket. What player are we warning you about? All of them. The possibility of Indiana blowing out Purdue is enough to make your television explode. It's Indiana +21. We'll bet 330 points in honor of the starting time of this game which allows us to watch Michigan-Ohio State without feeling like we're missing anything. A horrible start made me absolutely sick by halftime. It was embarrassing and I was really glad most people were watching football or the dog show. Jay Simpson got ejected for a stupid shove to the face (although I think Flagrant 2 might have been a bit excessive), the refs were making the game unwatchable, and Marcus Smart was showing how he should have been the #1 pick last year - he's pretty amazing. Then something happened. Matt Painter must have had one heck of a halftime speech, as the Boilers cut a 23 point halftime lead to 4 with 3 minutes to go (on a 28-foot bomb by Kendall Stephens). Unfortunately, Markel Brown stepped up and showed how good this Cowboy team is and gave Oklahoma State the win. Sure, it helped that Smart got into foul trouble due to a questionable foul call followed by an unquestionable technical (immediately going from 2 to 4 fouls early in the second half), but the fight the Boilers showed against the #5 team in the nation - a team that played VERY well - can give us hope that this season can definitely be something special. I mentioned the refs, but my gosh was the first half brutal to watch. The game lasted over 2 1/2 hours as the refs just took over. You've already heard my rants on the refs - I'm worried they're ruining the game. Luckily, the Boilers' run in the second half reminded me how fun this game can really be. The next game is against Washington State (11:00 AM, Friday, ESPNU) who lost to Butler 76-69. The Cougars have wins over Cal Bakersfield and Lamar, but have losses to Gonzaga and TCU. Purdue should be favored to take care of business in this one, and while a win wouldn't be a huge help, it would be a win over a power conference team and set up a game most likely against a decent St. Joes team which would help the RPI. A loss not only hurts, but probably sets up a rematch against a bad Siena team. If the Boilers can win out, they can build on some major momentum and potentially start looking ahead to sweeping the rest of the nonconference schedule. After wins last week against Eastern Illinois and Siena to start the season 5-0, the Boilers have a huge test on a day when most students have a vacation and break from exams. On Thanksgiving, Purdue faces one of the best teams in college basketball, 5th-ranked Oklahoma State, and one of the best players, sophomore guard Marcus Smart, in the Old Spice Classic in Orlando. 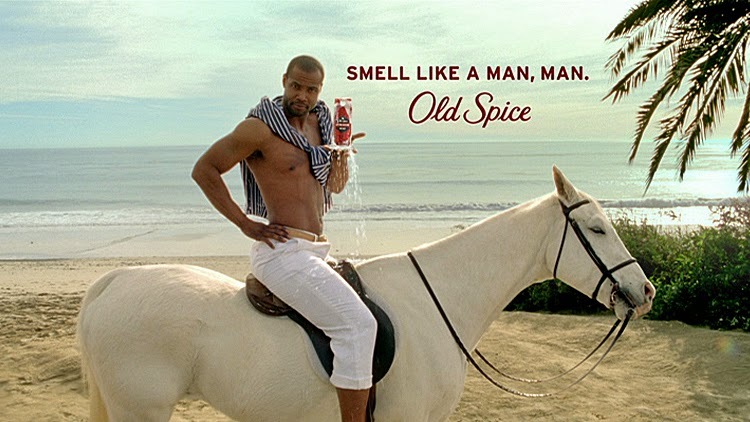 I'm on a horse. I smell like crap. Literally. Not to be too pessimistic, but the Boilers chances on Thursday look pretty bleak. While this year's team is definitely stronger than last year's, narrow wins against Northern Kentucky, Rider, and Siena don't bode well against a team that's beaten their opponents by an average of 38 points this season. And that includes OSU's smallest victory of 21 points against a highly ranked Memphis team. Marcus Smart, who surprised many of us with his decision to stay in school for his sophomore season and pass up a chance at being the number one overall pick (would Cleveland have done that Erik? Better than the garbage you drafted instead!) to join the loaded 2014 draft class, is an outstanding player. He dropped 39 points against Memphis and he can do far more, forcing steals, pulling in rebounds, and dishing it out. So how can Purdue stop him? The Boilers need to do something former Purdue teams excelled at but this team seems to have trouble grasping - play some freaking defense! If the game turns into a track meet, the good guys have little shot, as Oklahoma State is simply more talented and offensively prolific. But if the guards can cause some havoc for Smart and slow him down even a little, they may make the game interesting. The Boilers also have a size advantage, as OSU features a lot of hybrid guard-forwards, but not as much height. Of course they are still incredibly athletic and while Purdue's rebounding against inferior-sized teams has left much to be desired this season, if the Boilers can box out and control the glass and clog the paint, it will help. Though with the new officiating rules, I still expect to see a lot of poorly guarded layups (ugh, I hate these new rules). Purdue needs AJ Hammons to look like the player who wants to be an NBA draft pick, because right now he doesn't. Against EIU Hammons only had nine points, and he put up 12 against Siena, but mostly on free throws. Those aren't horrible stats, and he was often getting double-teamed, but AJ needs to turn his motor up and realize he's playing on a national stage for tons of scouts. If that can't drive a kid with such ambitions, I don't know what can. Speaking of motors, maybe Bryson Scott can be the Kramer-esque x-factor in this battle, causing grief for Smart and putting up points on the other end. As a bit of a surprise, Scott had two huge games last week, leading the team in scoring (14 and 16 points efficiently) and assists in each. He's certainly earned more playing time, although with Ronnie also playing well, it may mean some interesting lineups featuring both (but please Painter, keep some shooters out there with them!). Finally, another thing Purdue has going for it is the recent suspension of OSU freshman point guard Stevie Clark from the team. I'm not sure what the situation is, but Clark was a decent player. This could change how the Cowboys run their offense and rotations, but honestly, it's not as key as you'd think since without Clark earlier this week, OSU still beat South Florida by 26 points. 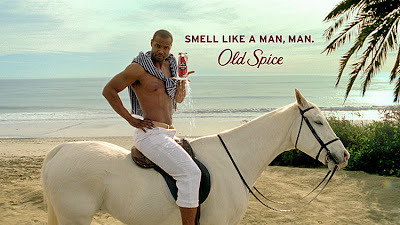 Give me more Old Spice! If Purdue wins, they'll play the winner of Butler vs. Washington State on Friday (and if they lose, they play the loser). Either way, I'm hoping to play the Cougars since Purdue faces Butler in a couple weeks anyway. As long as the Boilers don't lose both games, they'll play a third game on Sunday. It's time for some ice-cold teams to take to the frosty field for some frigid football where the quality of football may be below zero. Is that enough reference to how cold it will be on Saturday when the Boilers face the Illini? If you're going to the game, be sure to bundle up as I hear the wind can get pretty nasty around the stadium when only 10,000 people are filling the seats. I'll be sipping some hot cocoa from my couch with a nice roaring fire. Senior day? The last winnable game this season [shudder]? Play above average and don't turn the ball over? The Illini players get frozen to the field and can't move? The fact that the Illini haven't won a Big Ten game since 2011 (20 losses in a row!)? The Fighting Native Americans Decimated by European-Introduced Disease and Whose Land Was Stolen From Them are not a very good football team, having lost six straight games (winless in conference), but they at least play their opposition closer than the Boilers (for the most part). Nathan Scheelhaase is actually having a decent senior season, despite his team sucking. Illinois put up 35 points on Ohio State last week, so anything remotely that good will spell doom for a Purdue team that could only muster a goose egg against those same Buckeyes two weeks prior. Defensive back Zane Petty had 15 tackles last week against OSU, so don't be surprised if his picture pops up. The real question is how high can his faux hawk pop up? Illinois is favored by seven points. That's such a slap in the face, but a very deserved one. We'll be betting the total number of points given up by Purdue this season (380!). I'd like to pick this game to go to triple overtime at 0-0, just to illustrate how bad both teams are, but it'll more likely go to overtime at 35-35. Never mind. It'll more likely be a bad day for the Boilers. 1. Senior Day Sadness - It's the last home game for some really special Boilermakers. Team MVP Cody Webster will hopefully boom some tremendous punts (well, hopefully the good guys are never forced to punt, but we know that ain't happening). Can Ricardo Allen wow the crowd with yet another pick six? Will we see a Will Lucas-forced fumble, Bruce Gaston sack, or Rob Henry interception (I meant catching one at safety, God-forbid throwing one on some trick play)? A courtesy hand-off to fullback Kurt Freytag? After seeing no real action all season, he did get one nice carry in the fourth quarter and two kickoff returns against Penn State last week. Have we seen the last of tight end Gabe Holmes, out for the season with a wrist injury, or will the NCAA grant him an extra year (or will he even ask for one)? Will fellow tight end Sterling Carter pull the old switcheroo and swap places with his basketball namesake? 2. Senior Day Awkward Goodbyes - I'm not trying to be overly harsh on any of these guys who've given their blood, sweat, and tears for the Purdue football team, but there will certainly be some strange farewells on Saturday. The senior-laden "offensive" line has been such a letdown this season, and five guys will graduate (Kevin Pamphile, Devin Smith, Cody Davis, Justin Kitchens, Trevor Foy). These guys probably worked hard, but just weren't very good. But then we have the opposite as we say "We hardly knew ye" to Gary Bush. So much potential, but quite the enigma with only four catches in the last nine games. 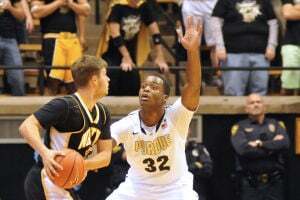 And who can forget every Purdue fan's favorite inter-school-transfer athlete, Patrick Bade. Awkward for sure. I know I'm supposed to do two previews in one, but due to a crazy schedule I only have time for one. Check back later in the week for my Siena preview. Kirk provided everyone with two awesome FREE links to the BTDN game last week in the comments section around game time. Unfortunately, neither of us are available around game time, so you're going to have to find them yourself. If you do happen to find them, we take no responsibility to the quality of the feeds - they DID work last week though and have typically worked in years past. If you do happen to miss the live feed, the game will be replayed on BTN on Friday at 2:30 pm. Set your DVR's or skip class/work (those aren't that important anyway). Enjoy! The Panthers hung with Northwestern for awhile and destroyed Kelsey Barlow's Illinois-Chicago team (who was decent last year) on the road, so don't expect Eastern Illinois to just lay down for the Boilermakers. EIU is the first team the Boilers face that can match their height - they have a pair of Piotrowskis (both 6'11" or taller) that can make life difficult inside (although Mat doesn't get a whole lot of playing time). 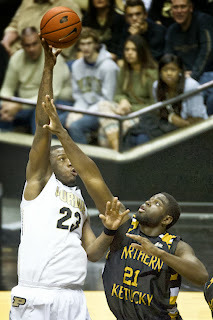 Expect the Boilers to use defense and perimeter shooting to try and bury the Panthers. Eastern Illinois has already gained a reputation for being a very streaky offensive team. A cold spell will make this game look a lot like the CCSU game. If they get hot, expect a third nail biter in four games and for it to come down to free throws as a result of excessive hand checking (which I already ranted about in last week's recap). For one game, all was right in West Lafayette. An inferior opponent came in and the Boilers scored the most points in the Matt Painter era. It may be hard to believe with a Painter-led team, but this team is 21st in offensive metrics and 173rd in defensive metrics according to Ken Pomeroy. This is a major SMALL SAMPLE ALERT, but if this team can start playing some hard-nosed defense, this Boilermaker team could do some real damage. It's amazing what a difference AJ Hammons makes. Sure, his 12 points and 5 rebounds were great to have in only 17 minutes of play, but his 7 blocks really helped turn this one into a laugher. CCSU shied away from driving the lane, meaning the layups Northern Kentucky had in the first game turned into missed jump shots for the Blue Devils . Another nail biter against another bad team. Was the CCSU game an illusion? Rider fell behind early, but stormed back to take a 9 point lead in the second half. Luckily, a monster Basil Smotherman dunk ignited everyone in Mackey Arena and Sterling Carter had a fantastic final 5 minutes (2 steals, 4-4 free throws, and a HUGE tip-in where the 6-foot carter somehow jumped over everyone) to put the Boilers up for good. AJ Hammons was in foul trouble and only played 12 minutes. He took zero shots in those 12 minutes as Rider's main focus on defense was to shut him down. This doesn't bother me, but I'd like to see some assists if he's not going to take a shot. Presumably someone is wide open when they're doubling Hammons - he needs to find the open man for the easy basket. Maybe he could take some pointers from Jay Simpson, who made a beautiful pass in a similar situation in the second half. Interestingly, Purdue has played 120 minutes of regular season basketball this year, and their best player has played only 29 of them. We really haven't seen the real Boilermakers yet. I am already sick and tired of all the fouls and the new "emphasis" on hand-checking to improve scoring. Each team had 31 free throws and Rider at times looked like their gameplan was to run into Purdue players to cause contact and force a foul call. Why is this "emphasis" happening again? College basketball wasn't broken. Anybody who's a college basketball fan can tell you that they absolutely do not want it to start looking like the NBA. And sure, shooting more foul shots adds points to the board, but they're boring points. Fouls ruin the tempo of the game. And while we've seen our share of ugly offensive games in the past several years, there's nothing more exciting than a defensive showdown where every basket feels like it's worth 5 points because you had to work so hard to get it. PLEASE de-emphasize these new rules now...before we get the fun sucked out of college basketball. It's true - Rider and Northern Kentucky are both not very good and it's not a good sign that this team nearly lost to both of them. However, last year's team DID lose these games. The real difference this year is that guys are actually stepping up in big spots. Errick Peck drained the huge three in the opener and Sterling Carter willed the team to victory on Sunday night. The two 5th-year transfers have been huge for this team and have taken the pressure off Terone Johnson at the end of the game. Remember, the committee won't care about these games at the end of the year, especially since they don't look at margin of victory. These games surely won't help us get in, but they won't hurt us either. Had we lost even one of them, however, it would have put us in a hole that would have been VERY difficult to dig out of. 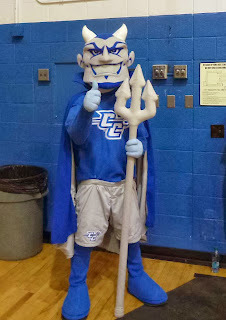 So be happy with the result, and hope we see more games like the CCSU one, and less like the other two. I think we were all a bit surprised that Purdue scored 21 points on Saturday, making the game against a mediocre Penn State team somewhat competitive. Even so, it never felt like the Boilers were really going to win or even make the game that close. Why was that? Because the defense was absolutely horrible. Putrid. Pitiful. Non-existent. They made Penn State look like Florida State. The defense didn't force a single punt. The let Penn State convert 10 of 12 third downs, seemingly with ease. Will they be able to stop Indiana with the extra motivation of the Bucket? I'm scared it won't even be close. And just because the Boilers put up 14 points, it doesn't mean the offense really saw any significant growth in this game. Seven points were scored by a great Mostert kick return (they gave him 100 yards, but it was definitely 101, coming out of the end zone), and Etling, the receivers, and the line continued to have problems with execution and communication. We've ripped on the line a lot, and they are horrible, but Etling also holds on to the ball too long, causing some horrible sacks and fumbles. Those turnovers were killer. With the Boilers down seven early in the second quarter thanks to the first good offensive drive in months, the defense, who hadn't been able to stop Penn State at all, forced a fumble. I actually remarked to my wife right before that play that the only way the defense could get a stop would be a turnover. That was a golden opportunity for Purdue to tie the game with a short field, but three plays later, Etling threw a bad interception. 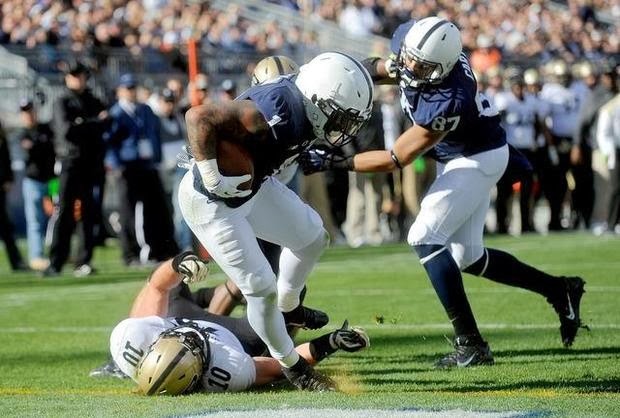 Penn State went on to score on their next two possessions. The only things that could stop them were that fumble and the half. Then, down ten points in the third quarter, a sack caused an Etling fumble, which eventually resulted in another Penn State touchdown, and the game was essentially over. Thanks to a Landon Feichter interception to start the fourth quarter, there was a glimpse of hope (OK, not really, we all knew it wouldn't work out), but that series saw yet another Etling sack/fumble that led to the final Nittany Lion touchdown. So while many may have seen signs of hope on Saturday, just because the offense put together two good drives against a so-so team, and we had a beautiful kick return, it doesn't mean the ship is righted, especially with a defense so porous. I know the defense can play better than that, but until both sides of the ball can put a full game together, it'll be more of the same bad losses. Their mascot could be a lot cooler. Do we really have to keep doing this? To be fair, Penn State did lose to Indiana by 20, so it's possible Purdue pulls the major upset. It's just not very likely. In order to have a chance, Purdue's freshman quarterback (Danny Etling) will need to outplay Penn State's freshman quarterback (Christian Hackenberg). Hackenberg's 243 yards/game has far outpaced Etling's 164 yards/game, which is partially due to Penn State's better offensive line. If the line can step up and give Etling time to throw, a Penn State defense that's given up 40+ in three Big Ten games could give the Boilers a fighting chance. If this game were in West Lafayette, I'd say Purdue had a decent shot. However, the Boilers have scored a total of 17 points on the road this year and Penn State hasn't scored less than 24 in a single home game. This Penn State team has played well at home and there's no reason that won't continue against the worst team in the FBS. Cornerback, #3, Da'Quan Davis. This guy's got one of the dopiest stock photos I've ever come across. He's a good player though, so try not to throw a shoe through your tv if you see him come up on your screen tomorrow. Penn State is a 21.5 point favorite. We'll be betting 33 in honor of the total number of points scored in 2004, the last time Purdue won in State College. The Nittany Lions aren't that good. Neither was Cincinnati. Kirk just told me the score and didn't tell me who was going to win. He didn't need to. 1. The basketball team plays Rider on Sunday night for their first game on actual tv this year. Watch them in order to get your mind off what's most likely to be a blowout the day before. 2. Penn State hasn't had a losing streak all season. That's pretty good considering they're 5-4. Well, we took a snap in the red zone for the first time since September 28th. Yes, it was 5 full weeks between trips to the red zone. Only 3 more weeks until this miserable season is over. 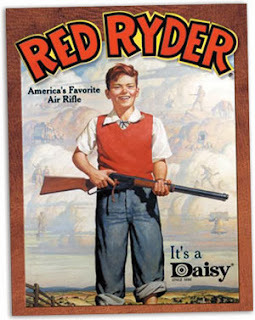 I like America. I don't like red on my Purdue helmet. As has become tradition here at GoBoilers.net during this awful season, we're going to forgo any real recap/analysis because nobody likes to read or write boring things about bad games. I love the one fan that's yelling for the defense even though we're about to go down 38-7. He paid for his ticket, he's showing his spirit, all is good. Except for the fact that the BTN microphone was DIRECTLY in front of him, and with nobody else yelling, the second half was excruciating to the ears if you cared at all about what the announcers were saying. Not sure why anyone would care what the notoriously awful BTN football announcers were saying, but why in the world could BTN not just turn down that mike? Were they really that desperate for crowd noise? While I was one of the few still watching when Appleby and Anthrop hooked up for a TD at the end of the game, I didn't actually get to see it. Apparently the cameraman was put to sleep and forgot to move the camera to show the completion. By the time Anthrop had broken away for a sure touchdown, the cameraman finally cut to him. I know it was late and the game was wrapped up, but c'mon BTN. You've been around for several years now - can't you get a staff that can produce games above an intern-level? This didn't annoy me, but Thomas Meadows had a great onside kick at the end of the game. Purdue didn't recover it, but we may need something like that if we're going to win another game. Is Purdue the worst BCS Conference team in the country? Is Purdue the worst FBS team in the country? Well, they're probably not the worst FBS team in the country. Southern Miss, New Mexico State, Florida International, and Georgia State are all having just awful seasons and are consistently getting blown out by really bad teams. None of them have at least competed against decent teams like Notre Dame and Michigan State. But is Purdue the worst BCS Conference team? Let's break down arguably the three worst BCS teams: UCONN, Cal, and Purdue. All are having abysmal seasons. Ok, so before I started that analysis, I really thought that UCONN was much worse and I was at least going to prove that "Hey, somebody has it worst than us!" Unfortunately, I proved myself wrong. How depressing. Stay tuned over the next 24 hours to GoBoilers.net as we preview your Purdue "Worst Team in a BCS Conference" Boilermakers against the Penn State Nittany Lions. Here's a preview of the preview: Don't waste your time. DVR it and watch it in 15 minutes while shotgunning 5 beers. It will be much more enjoyable. Then buy tickets for $0.40 apiece for the last home game so you can get one last look at the worst major team in the country and one of the worst Purdue football teams of all time. At least seeing the band play is worth 40 cents, right? To keep our sanity this basketball season (at least for the non-conference season), we're going to double up some of the previews and recaps. Over the next week, the Boilers face two small conference teams in games they have absolutely no excuse losing. Hopefully we get to see some blowouts. Up first tonight are the Central Connecticut State "Don't Confuse us with Duke" Blue Devils. Unfortunately for us fans who don't like paying twice for things that we're already paying for, the game isn't on BTN but rather the crappy (scammy) Big Ten Digital Network. We railed about this sleazy cash grab last season, so stay tuned to our comments section where we'll try to post a link to watch the game for free online about 15 minutes before tip off. With AJ Hammons back and the tallest Devil at 6'8", the Boilers should be able to dominate. Of course, we said the same thing last week. CCSU's best scorer is 6'1" guard Kyle Vinales who had 30 points in a loss to Yale last week. Vinales almost transferred last season, and when your all-time leading scorer is looking to move up to programs like Kent State, La Salle, Buffalo, and Detroit, it means you have a long way to go as a basketball program. Look for the Boilers to start out playing with a lot more intensity and cohesion than the last game, and doing so will likely see them build a big lead by halftime. There's no betting line for this game, because if you know enough about CCSU to make an educated bet, you have a gambling problem. We'll make one up: 14 points. Next Sunday the Boilers will face-off against the Rider "We Don't Like the Letter O" Broncs. Fortunately that one will be on BTN. Rider's played once already and lost by 14 to Lehigh behind 39% shooting from the field and a lot of free throws. The Boilers should expect to dominate, get to the line a lot, and if Lehigh can score 92 points on the Broncs, it's be pretty sad not to break 80. Rider fields a larger team than CCSU, but that doesn't mean they're more talented, although they may put up more points that the Devils, being a bit more balanced and used to tougher competition. There isn't a line yet, but we'll update this once that changes. If they never make one, we'll say 14 points again. For weeks, we Purdue fans put up with some horrible football while dreaming of basketball season. Well, it's finally upon us, but the results of the first game definitely leaves me wondering if my hopeful expectations are going to be shattered like they were on the gridiron. On Friday, the Boilers went to battle with Northern Kentucky, and, oh, was it a battle. In a game Erik and I both thought Purdue would easily win, against a school that barely qualifies as DI, it took some luck and ace shooting in the final minute for the good guys to come from behind and win. But a win's a win, blah blah blah. No, not so much. There definitely were some fluke reasons the game was so close, such as NKU making half their three pointers (which almost outnumbered their other baskets, 13 to 14), but Purdue showed some glaring problems that hopefully will be corrected right quick. Errick Peck looked solid, not only for making the huge corner three to cut the deficit to one point with 50 seconds to play, but also for pulling down nine rebounds to go with his eleven points (dude deserved a double-double). Dude also had two blocks, shot 5 of 6 (efficiency y'all!) with nine of his points coming in the second half, and the transfer is filling a much needed role on this team. I guarantee we lose that game with Lawson or Hale still manning that position. Ronnie Johnson had some moments in the first half that frustrated me, but he probably always will being a young point guard. Ronnie turned it on in the second half though, scoring 13 of his team high 18 points on 7 of 11 shooting (also efficient!) and handing out five assists. His clutch four points down the stretch, including the game winning free throws (yes, Ronnie hit his high-pressure free throws! ), saved the day as well. He also hit both his three-point attempts, a nice surprise! I also liked what I saw from Jay Simpson. His conditioning does look improved as he was able to run the floor better and score 14 points on 9 shots (again, efficiency! Can you tell I'm excited because we saw so little offensive efficiency last season?) while pulling in six rebounds. Free throw shooting! Five Boilers had an opportunity from the charity stripe and they all did admirably, going 16 for 20. Feels good to get free points, doesn't it guys? Kendall Stephens outside shot looks beautiful. I look forward to seeing a lot more of it this season. Overall, I was most impressed with the fact that this team didn't fold down the stretch. Being down four points with under a minute to play would have likely resulted in a eight or ten-point loss with last year's team. These Purdue team fought back, played as a team, and kept their composure. Of all the takeaways from Friday night, that may be the most important. The defense, in the first half especially, was lackadaisical. There were lots of missed rotations and players half-heartedly following their man around the court. It really felt like the Boilers thought this game would be an easy win that wouldn't warrant much effort, and it showed on the scoreboard. The Norse out-hustled the Boilers, and that's unacceptable. The lackadaisical play showed up in the rebound column, too. Giving up 14 offensive boards and nearly being out-rebounded by a much smaller team is pitiful. I don't know what the offensive game plan was, but in the first half there was a lot of one Boiler-on-four defenders driving the lane, and most of it resulted in bad shots, blocks, or turnovers. It was nice to see the offense gel a little more in the second half, and maybe we can chalk this up to the first-string being a bit out of sorts (both offensively and defensively) without AJ Hammons in the game. While I praised Peck and Ronnie for their efficient scoring nights, the same can't be said for the bigger Johnson. Terone struggled scoring only 10 points on 11 shots (3 for 11 and 4 FTs). The team's biggest offensive threat (with Hammons suspended) was nearly their worst shooter of the night. Terone can still lead even when his shot is off, but the Boilers will need fewer wasted possessions and better accuracy to be competitive in the Big Ten this season. Ray Davis, playing the 6th man role, was supposed to provide that spark of intensity off the bench, and while he did pull down some rebounds (5) and free throws (4 for 4), his shot just wasn't there and his drives weren't working, and he shot even worse than Terone. Despite the great comeback, Purdue really should have lost this game. On the final drive, NKU missed a contested layup, and then no Boilers crashed the boards (at least two Purdue players pursued the driving Norseman under the basket). There were two NKU players who could easily have just tapped the rebound back in, but they got in each others' way and they missed the bunny. "Lucky" is the only word for it. Purdue has two games this week, and I'll preview those momentarily. The result should be the same as against Northern Kentucky, but hopefully with more cushion. As I wrote earlier this week, watching this Boiler team has been an exercise in masochism. My original recommendation was to watch the first quarter, see if Purdue can be competitive, and if not, have a nice little Saturday with the family and forget about this silly concussion-causing sport called football. Sure, feel free to set your DVR, as that's what I'll be doing tomorrow just in case this one gets interesting. But I'm done planning my Saturday schedule around Purdue football. What will it take for Purdue to pull the upset and look like a respectable football program? No turnovers, and I'm looking at you rook. Outstanding punting. There's going to be a lot of legwork on Saturday. Tough defense, mostly getting to the quarterback and limiting the Iowa passing game, but it's never surprising to see the Boilers beat in the rushing game. An offensive line. Seriously, just stop someone. The only Big Ten team worse at putting up points than Purdue are the Hawkeyes, but they are still much better. Their defense is pretty decent, and look for them to cause Etling loads of problems. Assuming Iowa can take care of the ball and bottle up the Boiler run game and bend, not break, they'll walk out of Ross-Ade with a win. 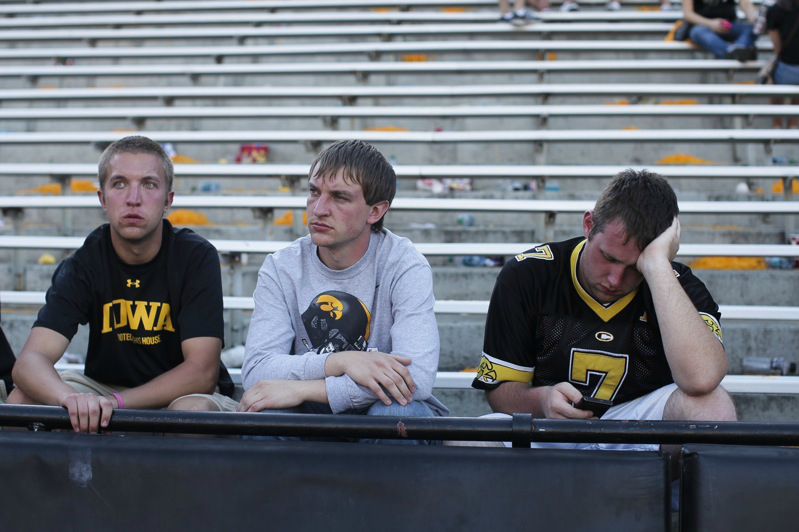 I'm running out of time on this post, so instead of making fun of an Iowa player, let's just pick on these guys. The Hawkeyes are 15 point favorites. We'll be betting the total number of points scored by the men's basketball team tonight. Erik actually thinks Purdue will find the end zone on Saturday. Maybe he's putting his faith in a Ricardo Allen pick six. Either way, he's got Iowa narrowly beating the spread. I've kind of prided myself on how many times I've failed to pick against the spread the last two seasons. Remember professional gamblers, always bet with Erik, especially if it's opposite me. In this case, I have little faith Purdue will make this one terribly close, but that should be a good sign for Boiler fans. Now Purdue will cover, just to spite my pick. 1. Safety Landon Feichter should be back on the field tomorrow, mostly recovered after breaking his leg against Indiana State in early September. That's a two-month recovery time - yikes that seems fast! 2. Will we see Rob Henry punt again on Saturday? Some trick plays? I sure hope so; we need something to keep us interested on our couches. The GoBoilers.net 2013-14 Basketball Season Preview Extravaganza & Purdue vs. Northern Kentucky Preview!!!! Coming off of one of Purdue's most disappointing seasons, the Boilermakers look to bounce back with one of the most talented group of freshmen since, well last year. While the 2012-13 Boilermakers showed some signs of putting it all together, general consensus was that they were missing a shooter, a lockdown defender, and an all around athlete. So, in comes Kendall Stephens, Bryson Scott, and Basil Smotherman to fill those roles (respectively). All 3 freshman are expected to log substantial minutes, while redshirt freshman Jay Simpson and transfers Sterling Carter and Errick Peck will help fill the void left from DJ Byrd graduating and Sandi Marcius, Jacob Lawson, Anthony Johnson, and Donnie Hale all transferring. It'll be a new-look Boilermaker team, but with AJ Hammons, Terone Johnson, Rapheal Davis and Ronnie Johnson coming back, this deep team has a chance to do some damage in the Big Ten. Give Me More, Give Me More! C'mon, that was a really good summary - what else do you want? I've still got to give you a preview of tomorrow's game and it's getting late. Seriously, what else would you expect from us? Normally our posts are ridiculously long, so if it's an "extravaganza", it's gotta be different. Alright, just give me the pictures and numbers of the new guys so I can figure out who's who when I watch on the crappy ESPN3 feed tomorrow night. OK, I can do that. Although, who are you, Mr. Bold Font, to demand stuff from us? You're sort of a jerk. #23 Jay Simpson - Look for Jay to have a big role this year, especially if AJ Hammons gets into foul trouble. #1 Sterling Carter - The hard-working transfer from Seattle should provide some big help to Purdue's outside shooting woes. #32 Errick Peck - The Cornell transfer is a big guy and has already impressed fans with a 16 point performance on 7 of 8 shooting in the second exhibition game, and added 6 rebounds and 5 steals for good measure. #5 Basil Smotherman - While the #5 makes me think of Keaton Grant, this guy's dunks will immediately make you forget about making any further comparisons. The best athlete of the bunch - it would be nice if one of our "great athletes" finally panned out (see Kelsey Barlow or Jacob Lawson). #12 Bryson Scott - Already being compared to Chris Kramer on the defensive end, Scott also has the offensive skills to be a huge contributor this year. Expect him to be in whenever Ronnie Johnson is out, and for Coach Painter to try some rotations where they're both out on the court. The Northern Kentucky Norse (yes, the Norse) come to West Lafayette on Friday for both teams' season openers. The Norse come from the Atlantic Sun conference, which they joined only a year ago when they entered Division I. Northern Kentucky did surprisingly well at 9-9 in a conference that included a tough Mercer team and a Florida Gulf Coast team that made the amazing run during last year's NCAA tournament. Unfortunately for Northern Kentucky, only one starter returns, they're picked to finish 9th in their conference, and their nickname is still the Norse. 1) Todd Johnson is from Elkhart, Indiana and plans to have a decent cheering section there. Luckily for Purdue, the Norse are playing at Kentucky on Sunday, so perhaps Northern Kentucky might be looking ahead to that one. Yep, I'm calling it right now - it's a classic trap game for Northern Kentucky. 2) AJ Hammons will serve the final game of his suspension for "conduct". It shouldn't matter. Did you watch the game on Saturday? If not, delete it from your DVR; there's no point to sit through any of it. If you attended the game, I feel bad for you and hope the athletic department reimburses your expenses. If you're masochistic, read about it here or here. The only highlight is pictured below. The black helmets and black jerseys looked really cool. I'm glad we can win the fashion battle, it's a crucial part of building a winning program. Is there a font to indicate heavy sarcasm? There was a lot of posing on Saturday. Must have been trying to show of the unis before letting the rushers sack you. The game was so bad that only a few minutes into the action, it was already over, and I was trying to figure out how I'd write this wrap-up post. I thought maybe I could make a list of things that frustrated me, pissed me off, or were so bad they just made me laugh. As I began compiling that list, I decided it wasn't worth it. 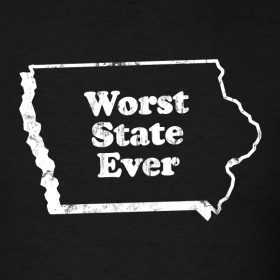 Instead of reviewing all the things that went wrong, highlighting any brights spots that I could fine (yeah, good luck), and ranting more about how this Purdue team looks as outgunned as a high school squad playing a college team (or a college team playing an NFL team), let's just forget this game, and so far this season, ever happened. Up next is a home game at noon against a Hawkeye team that isn't great but looks incredibly more competitive than Purdue. Tickets are for sale for only $2, but instead you should buy a bottle of good beer with that money, and maybe watch the first quarter at home. The Boilers have a chance to make this one interesting for maybe 20 minutes, and then you can have a nice little Saturday with the family. Clearly you aren't going to this game, but instead of even trying to watch it live on BTN and making yourself depressed, go rake leaves in your yard. It'll be far more fun. Penn State isn't that good, but they'll definitely win this one at home. Set the DVR, don't even bother checking the score at halftime, and you'll probably just delete the recording anyway. Your last chance to see the worst-ever Purdue football team in person this season. Go? Only if you have nothing better to do, and hey, tickets are virtually free! The Boilers could actually win this one, because Illinois is plenty horrible to match, so I'd recommend planning on watching at least three quarters on TV, although I'm probably kidding myself in being that optimistic. Let's be honest - avoid this game like the plague. Do NOT travel down to Bloomington, because you'll feel like crap after the game, getting taunted by the few people that even know IU has a football team. The Boilers have given up over 37 points per game this season, and that's including games when the other team has mercifully not run up the score more than necessary (like OSU yesterday who could have easily had another 28 points, no joke). Indiana's defense is horrible, but their offense is potent, and they won't be pulling any punches, so there's the potential for a 63-20 final score. Anything that skewed will make me puke up my Duane Purvis. At least IU won't be playing for a shot at a bowl game thanks to their hilarious final play yesterday, but they'll still be angry and thirsty to prove they are no longer the laughing stock of the conference. Yep, that's Purdue's spot now. Loyal readers have probably figured out that I was born, raised, and currently reside in the suburbs of Cleveland, Ohio. While I may have been an Ohio State fan for the first 18 years of my life (most people around here are Buckeye fans as long as they didn't go to a BCS school), I immediately renounced every ounce of Buckeye fandom as soon as my acceptance letter was mailed to West Lafayette. Eight months later, Ohio State won the National Championship. And that's how I became one of the few Clevelanders without any championship in their lifetime and who wholeheartedly despises the Buckeyes. Luckily, Purdue has tended to play out of their minds against Ohio State, and this annual game is one of the only things that keeps me interested in yet another down season. The Boilers have either won or forced overtime (or should I say were forced into overtime) in 3 of the last 4 years. Urban Meyer fell prey to it last year, so we know it wasn't just Jim Tressel. Can Darrell Hazell continue the trend? He sure did against Wisconsin. 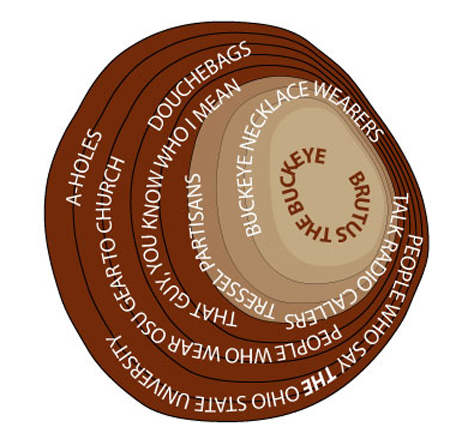 An awesome visual of the Ohio State fanbase from an Iowa blogger - check out the excellent full post here. The Buckeyes always do something really stupid when they play the Boilers like in 2011 when they abandoned their running game and used the Purdue game as a practice for Terrelle Pryor to sling the ball all over the field. Those who remember that game can't forget how Ryan Kerrigan went from a good defender to first round draft pick in that game. Maybe someone will step up while Ohio State overlooks the Boilers once again. You'd think they'd have learned by now, but I'm pretty sure we said the same thing last year as well. The Buckeyes are the second largest favorite in all of the FBS today (only behind Texas A&M over UTEP). Honestly, it's embarrassing to be a BCS conference school and be favored to lose by 32 points at home to anyone. From 1970 to 2000 (sorry, couldn't find anything more recent), only 6 teams won as bigger underdogs than 32 points. So do I really need to explain why OSU wins? Backup kicker, #23 Tim Scott. That long flowing, greasy hair, that clenched-teeth smile, and the fact that he wears #23 as a KICKER make him seem like he could snap at any time. We probably won't see him on the field, but that still doesn't mean he can't break our tv. As mentioned before, the Buckeyes are 32 point favorites. We'll be betting 32 in honor of that disgusting spread. Please please please pull off the shocker. Work on Monday after Purdue beats Ohio State in football is absolutely the best day of work all year. Definitely not expecting it though. Kirk's expecting a blowout too, but thinks the Boilers might sneak out a win against the spread. 1. Basketball season officially starts on Friday and it can't start soon enough. The first game against Northern Kentucky will be on ESPN3 at 7:00 pm. Meanwhile, the first exhibition game was Wednesday night - Purdue pulled off the win, but it wasn't the dominant performance we were hoping for. AJ Hammons is suspended for the exhibition games and the season opener for conduct reasons though, so we may not see the full potential of the team for a little while. Hey, if that's what it takes, let's end some national championship hopes today! UPDATE: Interestingly, they are NOT wearing the new helmets in warmups today. I guess they're waiting to surprise the crowd?